On assignment in disintegrating Yugoslavia 27 years ago, Steve McCurry hired a small plane with the intention of shooting images from the air. One afternoon, while flying over Slovenia, his pilot swerved dangerously close to a lake. The plane’s wheels caught on the water and the aircraft crashed. Water filled the cabin and the fuselage began to sink. “My seat belt was stuck,” remembers McCurry, “but an instinct for self-preservation kicked in and I was able to wrestle free.” He swam for the surface but his camera, with its evidence of the region’s unfolding ethnic conflict, remains 20 metres under water. 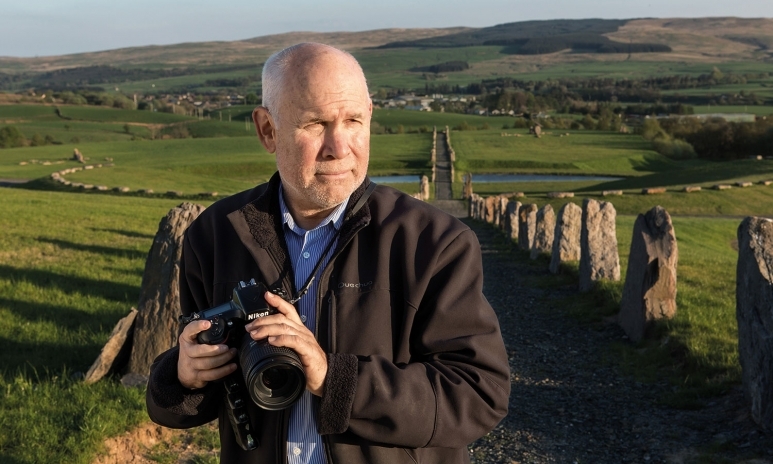 McCurry made his name as a news photographer documenting human struggle in hotbeds of civil unrest. The first major conflict he covered was the Soviet-Afghan War in the early 1980s. McCurry had been exploring India for several months when he decided to cross the border into Pakistan. There, in a small village, he met a group of Afghan refugees, some of them mujahideen insurgents fresh from the battlefield. During McCurry’s time with the Afghan refugees, he photographed a 12-year-old girl, later identified as Sharbat Gula, whose parents had been killed in the Soviet bombing of Afghanistan. Her portrait was published on the cover of a 1984 issue of National Geographic and became one of the most iconic images of the 20th century. Some have likened her mysterious, piercing gaze to that of Leonardo da Vinci’s Mona Lisa. “I think the reason the picture resonated with people around the world was because it had a rare combination of emotion, beauty and sadness,” says McCurry. A group of insurgents eventually smuggled McCurry, disguised in traditional garb and with film sewn into his clothes, into Afghanistan just as it was closing to Western journalists. His photographs were among the first to show the world the brutality of the Soviet invasion and occupation. McCurry went on to document the Islamic insurgency in the Philippines, the Iran-Iraq War, the Lebanese Civil War and the Gulf War. Since then his focus has shifted. McCurry no longer considers himself a photojournalist, but rather a visual chronicler of ancient traditions and contemporary culture. “I prefer to work now on other types of projects that allow me to photograph places and people that I’m curious to learn more about,” he says. A recent project is the Overseas Tour, a campaign for watchmaker Vacheron Constantin that celebrates the spirit of travel. This collaboration saw McCurry embark on an odyssey to 12 far-flung locations over the course of 2016. 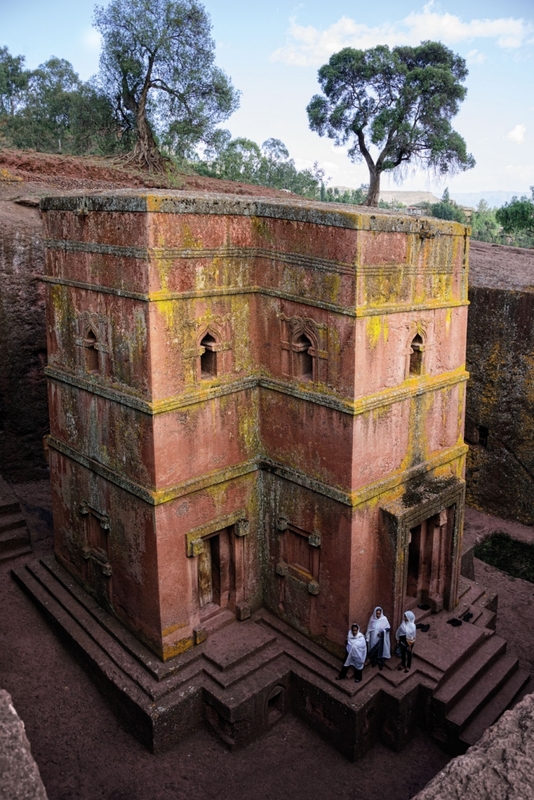 His photographs of the first six destinations—the Aqueduct of Padre Tembleque in Mexico, the Chand Baori stepwell in India, the Vacheron Constantin headquarters in Geneva, Tsurunoyu Onsen in Japan, the Leshan Giant Buddha in China and Grand Central Terminal in New York—were released in June. The second part of his journey, illustrated in these pages, took him to Red Square in Moscow, the Dumfries region of Scotland, Lalibela in Ethiopia, the Paris Observatory, Samarkand in Uzbekistan and Chefchaouen in Morocco—sites of ancient mystique, historical significance and great natural beauty. 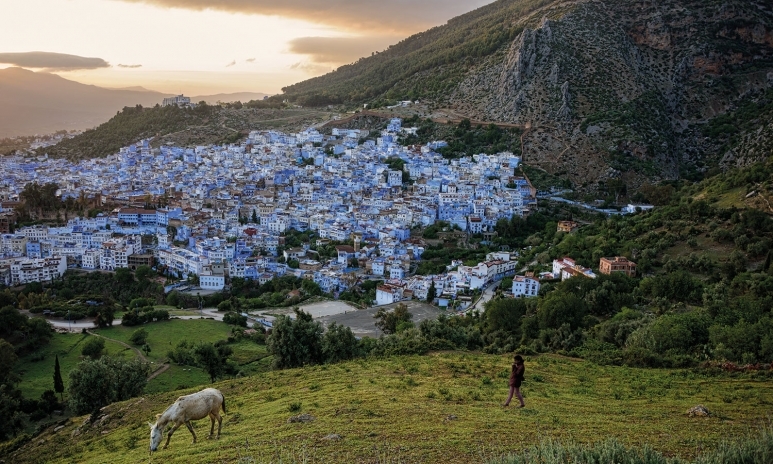 For almost 100 years, the inhabitants of this small town in the Rif Mountains have been colouring it blue. Historians are perplexed as to the reason for the tradition, but locals say the blue reflects the heavens. 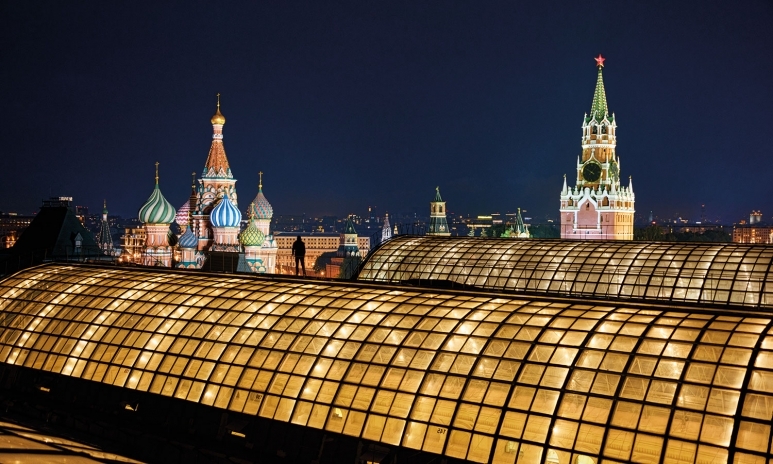 The fantastical domes and spires of Saint Basil’s Cathedral loom above the glass roof of the Gum shopping centre, giving McCurry a unique perspective on Russia’s capital. “Once night fell, this perspective took on a whole new and even more magical dimension when the Gum glass roof was lit up,” says the photographer. 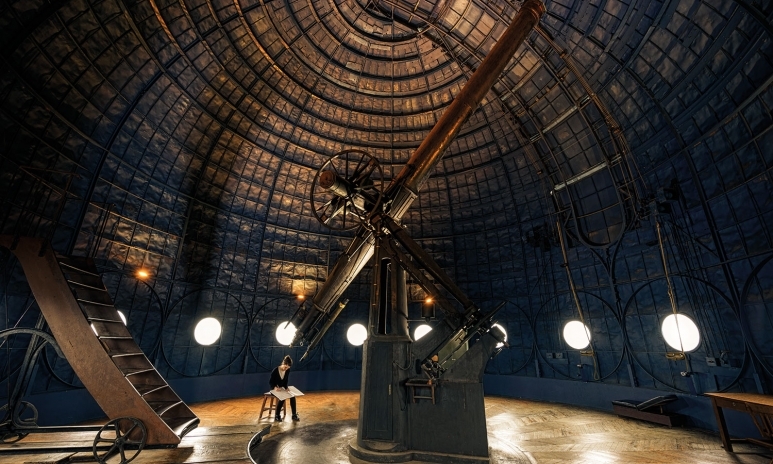 Built in 1667, the Paris Observatory is the oldest observatory still in operation. Its dome houses an astronomical telescope pointing towards the sky and drawing the visitor’s gaze towards infinite expanses. The ancient city of Samarkand was successively Greek, Persian, Turkish, Mongolian and Iranian. 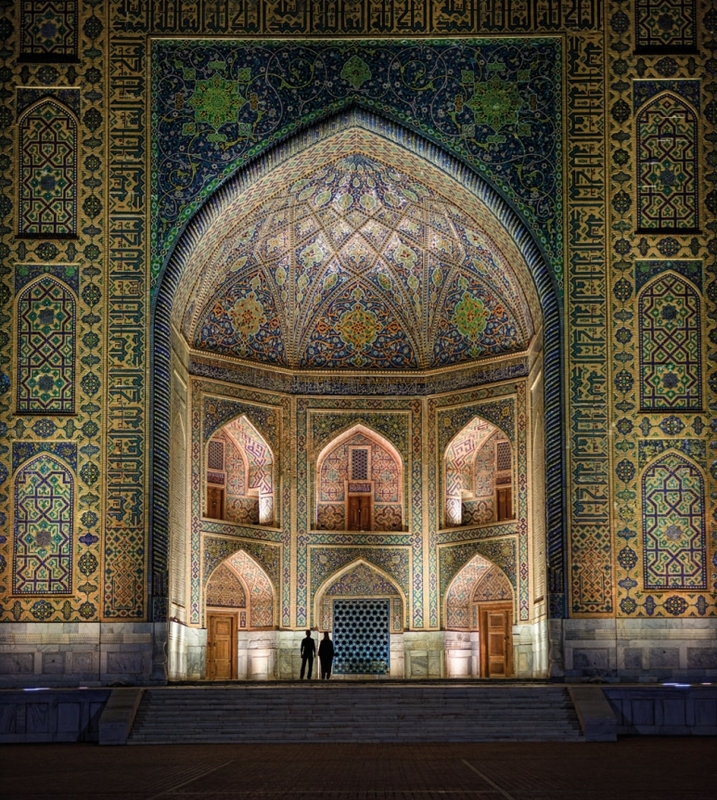 This image shows the ornate, gilded Tilya-Kori Madrasah (school) in the Registan, or public square. 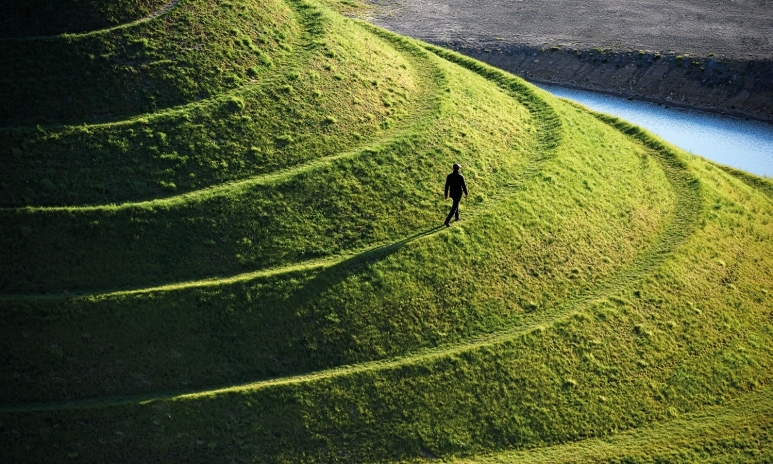 Nestled in the Dumfries region is a former opencast coal mine that has been transformed into a site of land art by architect Charles Jencks. “There is a cosmic feeling evoked by these structures,” says McCurry. Capturing images that stand the test of time requires patience, meticulous attention to detail, creativity and an openness to the world which are values that have driven Vacheron Constantin over its 260-year history. The Overseas Tour campaign aims to illustrate those core principles via the lens and unique perspective of Steve McCurry, and, in turn, illuminate the brand’s new Overseas collection of watches designed for travellers. Have no doubt: McCurry’s work will stand the test of time, too.